Will Self finally reaches Zwickau, the birthplace of the Trabant. With gearbox problems having ruined hopes of arriving in his own Trabant, Will and his friend Mike have no choice but to complete their journey by train. Nevertheless, their arrival causes something of a stir. The local museum have some surprises in store - including a meeting with the widow of the man who designed the iconic communist car. Producer: Laurence Grissell. Will runs into mechanical difficulties with his iconic communist car. Having resolved to continue his 700 miles journey to where the car was manufactured, Will's vehicle develops a gearbox problem on the motorway. Will and his travelling companion Mike hope that a friendly Trabant enthusiast might be able to save the day. Producer: Laurence Grissell. Will makes it to the former East German border in his iconic communist car. But he starts to worry about the safety of the vehicle and wonders whether it's time to call the journey off. Having started out in London, Will and his childhood friend Mike had planned to drive 700 miles all the way to where the car was manufactured in Zwickau, Germany. On the former border, they meet a teacher who grew up in the GDR and has fond memories of the Trabant. But it's becoming clear just how flimsy the plastic-bodied car is. Over dinner in Eisenach, Will and Mike discuss the wisdom of continuing the trip. Producer: Laurence Grissell. 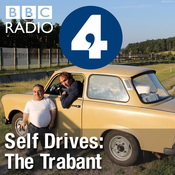 Will Self continues his 700 mile road trip in a Trabant, the iconic East German car. Having started out in London, Will and his childhood friend Mike plan to drive all the way to where the car was manufactured in Zwickau, Germany. Just outside Brussels, Will and Mike meet a Belgian Trabi enthusiast who was asked spy for East Germany. And over dinner in Bonn, the pair argue about whether it's feasible to take a more positive view of life in the former GDR. Producer: Laurence Grissell. Will Self embarks on a 700 mile road trip in a Trabant, the iconic East German car. Starting in London, Will plans to drive all the way to where the car was manufactured in Zwickau, Germany. Will's travelling companion - and the instigator of this strange road trip - is his childhood friend Mike Shamash, a person of restricted growth. Mike's fascinated by all things East German and hopes that the Trabant will yield a more nuanced picture of life behind the Iron Curtain. Will remains unconvinced. The pair have barely left Broadcasting House before it dawns on them that 700 miles is a long way to drive in this flimsy, noisy and cramped car. 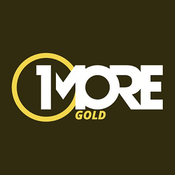 Producer: Laurence Grissell.